Where beauty and healthcare meet. 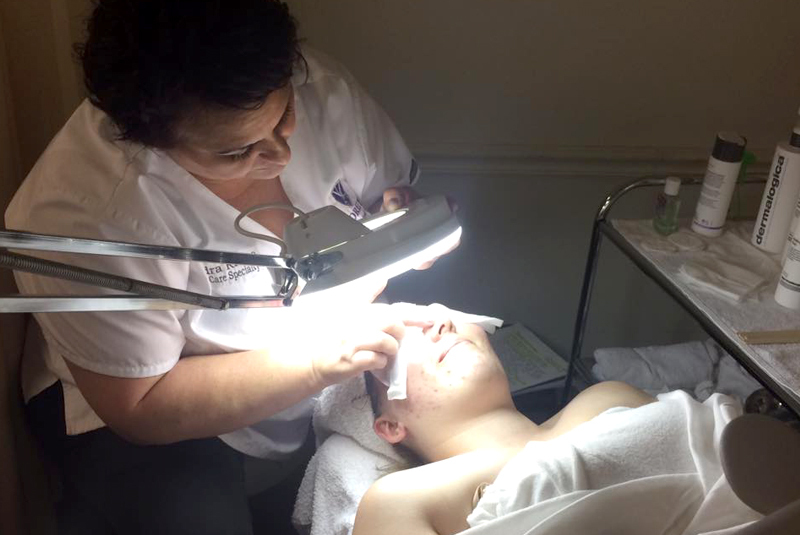 Train to be a skin care professional at Shore Beauty School in Egg Harbor Township, NJ. Shore Beauty School’s Skin Care Specialty program consists of 600 hours of instruction in the art, science and business of skin care. 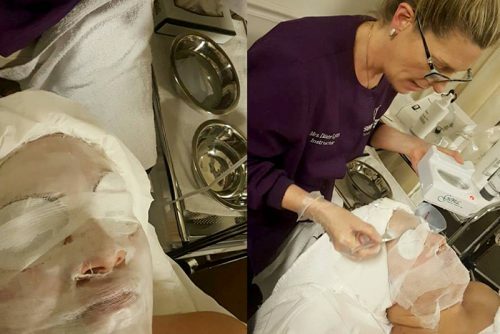 You will learn facial treatments and massage, makeup techniques and body treatments. Your student kit includes Dermalogica skin care products and professional Paint Cosmetics. 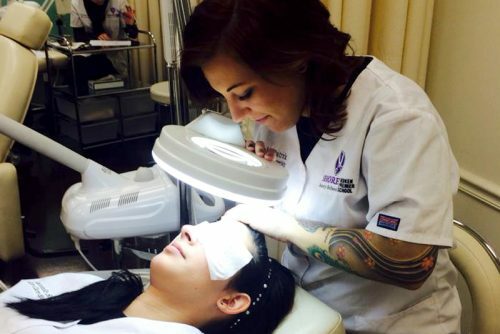 A dedicated skin care classroom is equipped with multi-media audio visual capabilities, five private skin care treatment areas, adjustable skin care beds, steamers, magnifying lamps, equipment sanitizers, an electric current galvanic machine, nufree wax, paraffin dip machines, towel warmers, blankets and a networked computer. 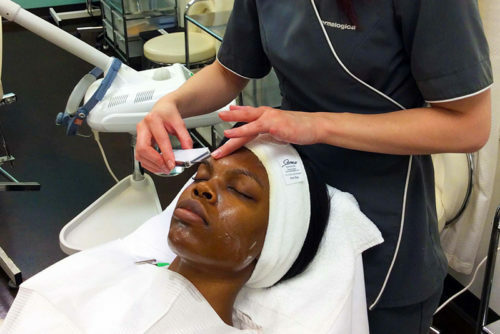 To put you further ahead in your new profession, Shore’s Skin Care Specialty program includes offsite visits to The International Dermal Institute, where Dermalogica instructors will educate you on special techniques in skin and body treatment. 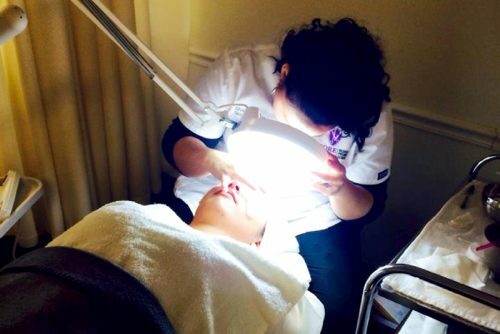 Shore will further enhance your training by introducing you to BioActive Peels, Microdermabrasion with Diamond Tip and enhanced facial machine treatments using high frequency, galvanic, ultrasound and vacuum suction. You will also learn face and body spray tanning. After completing 300 hours of education, you will practice your skills on live patrons and the NJ State Board will provide you a Student Work Permit allowing you to work as an esthetician through graduation. Your experience level doesn’t matter, as our instructors will guide you step-by-step through your education. Shore’s goal is to prepare Skin Care Specialty students for professional licensing and fulfilling careers in skin care. Come visit our modern technology enabled facility in Egg Harbor Township, NJ. 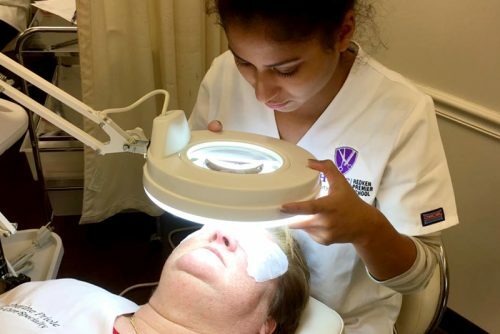 Part of Shore Beauty School’s mission is to prepare our skin care students for entry-level employment in esthetics or related beauty and healthcare fields. Shore’s active student clinic provides our students the opportunity to practice and build their skills while performing services on live patrons. The school also encourages students, while training in the clinic, to build a book of business that can be taken with them to a job after graduating. 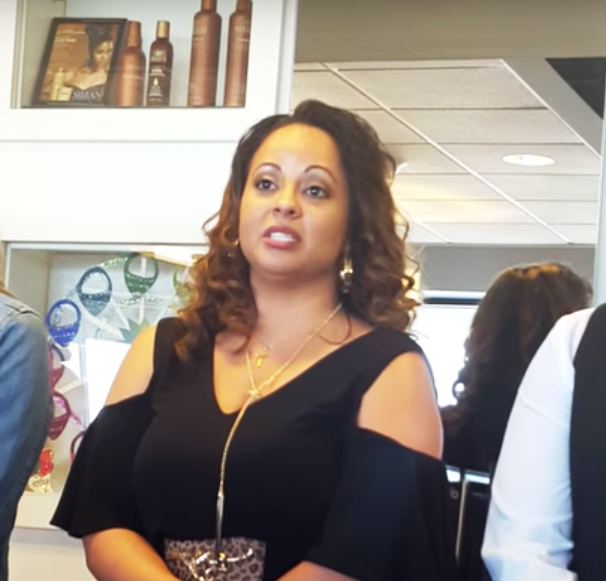 Additionally, you will learn Shear Success Business Fundamentals, which Shore created as a practical supplement to its cosmetology programs. Shear Success teaches proven techniques in building a book of business, networking, marketing, client management and maximizing earnings. The State of NJ requires a license to practice as a skin care professional. 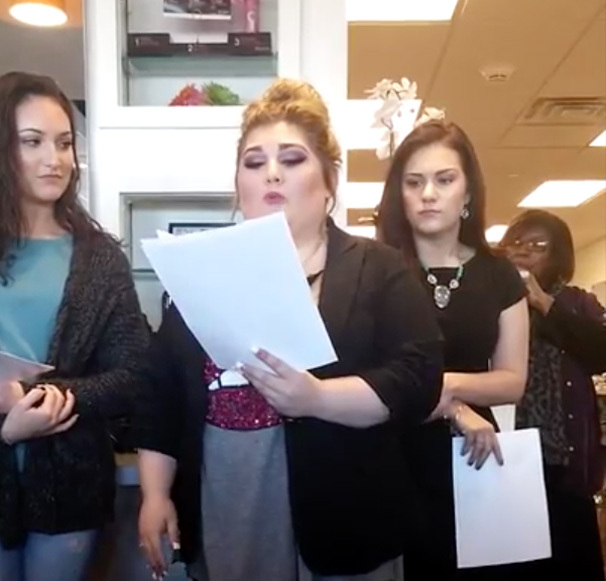 In order to qualify for a license as a Skin Care Specialist, you must graduate from Shore Beauty School in good standing, having completed the full 600 hours of your program. Further, the NJ State Board of Cosmetology & Hairstyling requires graduates to pass both written and practical examinations with scores of 75 or better on each exam to fully qualify for NJ State licensing. The State Board will not schedule the practical portion of the exam until the written exam has been passed. Temporary Work Permits are available to graduates after passing the written portion of their exams, allowing them to work for six months prior to receiving their licenses. For U.S. Bureau of Labor Statistics information on Esthetics careers (SOC Code: 39-5094 and CIP Code: 12.0409) O*NET Online and Occupational Outlook Handbook. For our graduation, job placement and licensure pass rates, as well as our graduates’ median school debts and costs of enrollment, click here.